Our CPA firm knows that tax planning is the key to minimizing your taxes and putting money into your pocket. In addition, we make it a point to stay on top of the ever changing tax laws and help keep your business in compliance. 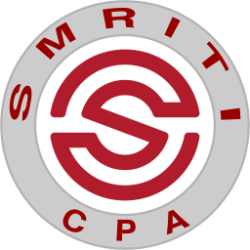 When you work with Smriti CPA LLC, we use a proprietary system of tax planning and preparation, tailored to your needs, that assures that your taxes are minimized and advice is delivered timely. We actively look for and recommend ways to minimize your tax liabilities throughout the year, not just at the end of the year. This comprehensive approach is a critical part of the tax planning and preparation services that our accounting firm provides. Foreign companies doing business in the U.S. Please call our office at (682) 597 – 6680 for any questions. If you would like to schedule a free consultation, please click here.